A friend of mine decided to have a last minute Memorial day BBQ and I agreed to make a potato salad. 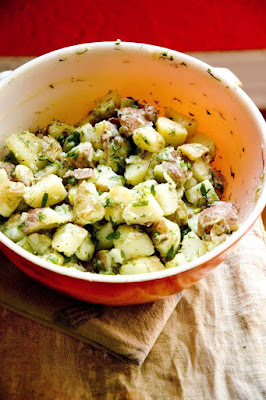 Not wanting something boring or heavy, I opted for this light french potato salad. This recipe comes from my favorite cooking lady, Ina Garten. Like many of her recipes, this one is easy, simple, and totally perfect for any summer BBQ, and the best part…..No Mayo! Fresh herbs are a fave of ours, and you have 3 in there. Lovely. Thanks Greg! Well, I'm a photography professor, so I hope that my pictures are least decent! 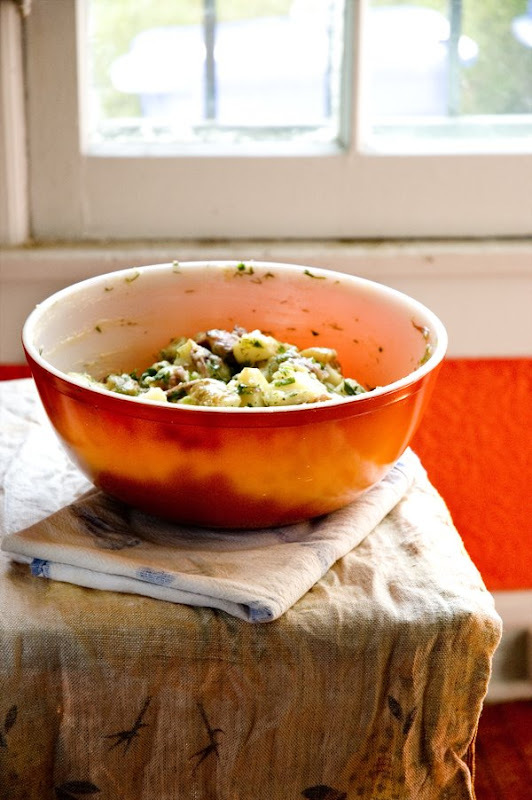 Best potato salad we have ever had! Light and fresh as promised!